February 19, 2019, 6:30-7:30 p.m.
perhaps, learn of a few more good reads in the process. The club shall meet every third Tuesday of the month thereafter from 6:30 to 7:30 p.m. There shall be coffee and refreshments for attendees. One of our main purposes here at the Flowood Library is to promote an interest in reading and improve literacy. We do a lot of this through our children’s programs and through our adult book club program. We also try to anticipate the needs of our community in the books that we order for our collection. For the Flowood Book Club, we provide the coffee. Our attendees bring their critical expertise and discuss what they liked or did not like about a selected book. The debates can be quite lively and thought-provoking. I can’t comment on the coffee. In high school over the course of one summer, I was required to read three books that had no appeal for me at all. And I was a little miffed at having been assigned homework over the summer. Why did English teachers always assign dry material to read? I read two of these books and appropriated the CliffsNotes for the third. I passed the test and moved on. After school, I would go home and read what I wanted to read: comic books and action-adventure novels. I never lost my love for reading. As an adult, I still read, but I am more particular in what I spend my time reading. One of the books that I very much enjoyed in recent years was Last of the Breed by Louis L’Amour. This book is a western, but it takes place in the late 1980s in Siberia. It is about an Air Force officer Major Joseph Makatozi (Joe Mack) who is forced down by the Soviet Air Force. He is taken prisoner and moved to a prison camp where he is interrogated. He is given an ultimatum to share what he knows about the experimental aircraft he was flying, or he can remain in prison. Joe Mack quickly escapes by pole vaulting over a fence and out of the prison camp. 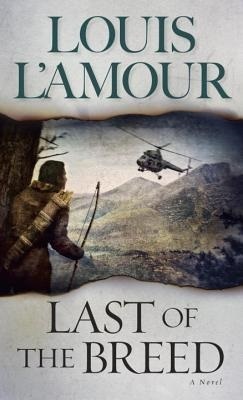 With the Soviet Army in pursuit, he disappears into the Siberian wilderness. Joe Mack is an Air Force officer, but he is also a Sioux Indian. As the months drag on he leaves behind the man he was in the Air Force, and to the dread of his pursuers, reverts back to his native heritage of a Sioux warrior. Last of the Breed was a page turner and a pleasure to read. I had the privilege of discussing this book at a book club meeting. Every month on the third Tuesday of the month the Flowood Book Club gathers to discuss the latest book. The book for the month of February is The Girl with the Dragon Tattoo by Stieg Larrson.